The Belvedere will be home to amenities not found at many other communities. 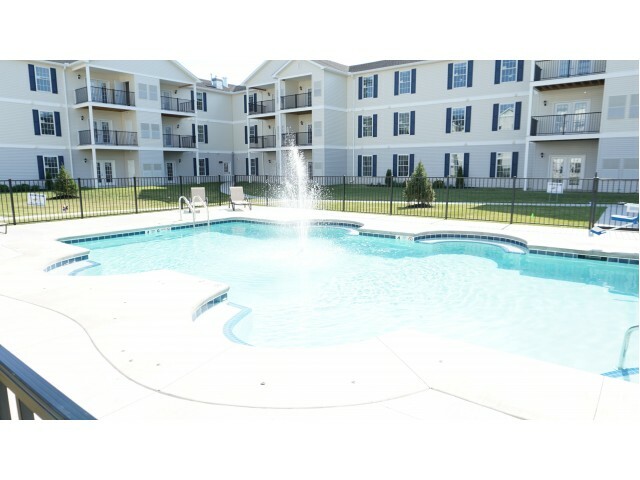 The apartments surround a beautiful court yard area where residents can enjoy activities such as Aqua Zumba in a heated swimming pool- complete with a pool house. 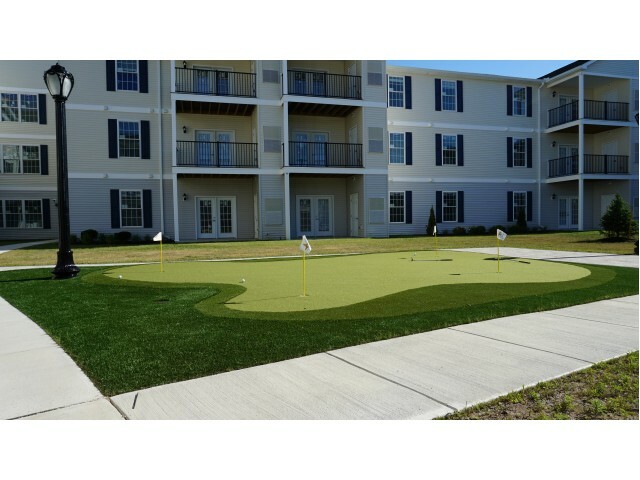 Practice on the putting green, enjoy barbecue area and tiki bar in the courtyard as well. Positioned at the north end of the property will be a greenhouse for community gardening come spring, where residents can show off their green thumb. Healthy, active living is further promoted with a 24-hour onsite resident fitness center that will feature activities such as Zumba Gold, Silver Sneakers & Yoga (just to name a few). Get your steps in while enjoying the beautiful wooded scenery strolling along the walking path that surrounds the building. 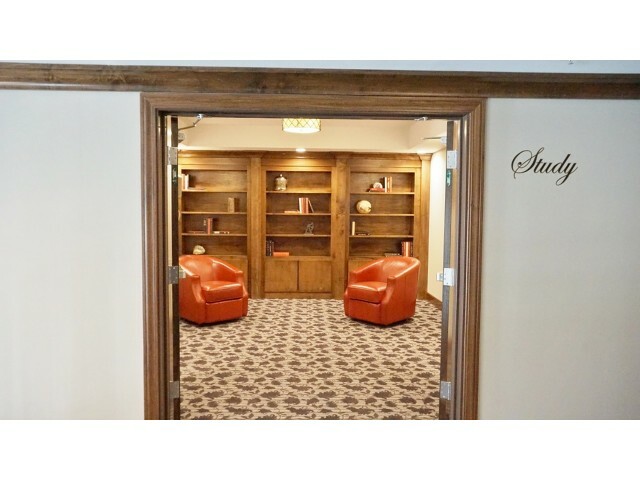 Indoors features a pub & billiard room, perfect for resident happy hours, organizing Monday night poker games or catching the game on TV (yes folks, The Belvedere’s community room and pub both have the sports package). Did someone say Superbowl party?? Residents have the convenience of entertaining in the large community room furnished with a fully equipped kitchenette area, TV and fireplace. They can even practice their swing all year round with Belvedere’s in-door golf simulator that is coming this spring or take full advantage of the onsite guest suites that are available for out of town visitors! 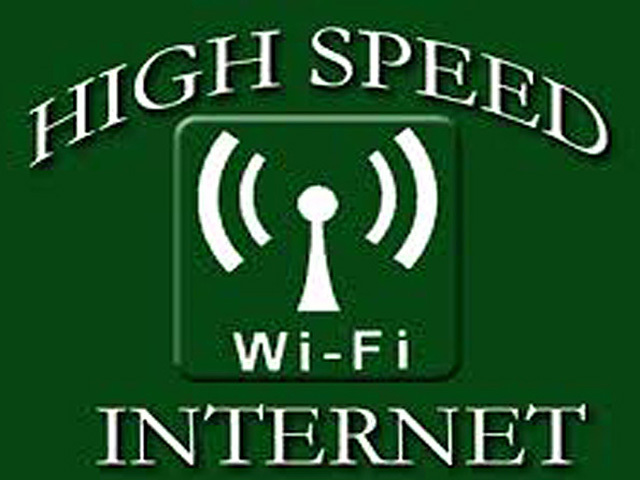 There are attached garages by means of an enclosed breezeway as well as detached garages **garage availability limited. The Belvedere features a beautifully manicured courtyard, perfect for socialization and entertainment! Activities at Belvedere are center around healthy, active living. 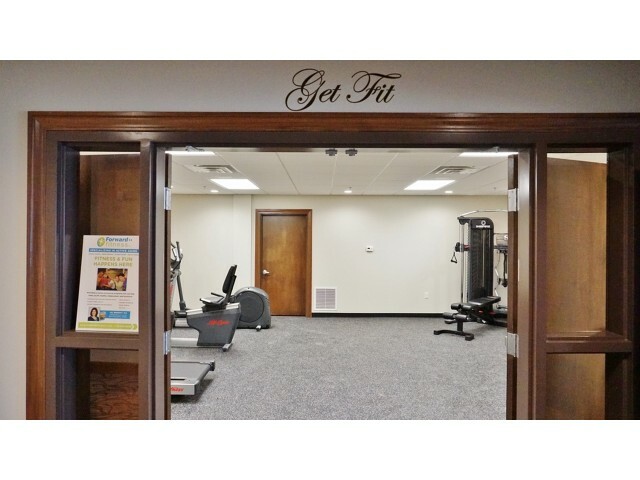 The fitness center is open 24-hours a day! 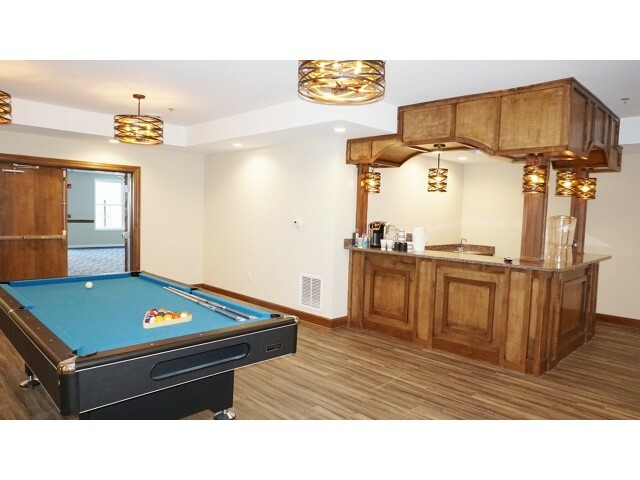 Residents can enjoy watching sporting events, playing a game of billiards and socializing in the Pub at Belvedere. Practice your swing on Belvedere's 4-hole Outdoor Putting Green, which is located in the courtyard area. Guest suites are available for family and friends of the Belvedere's residents. Guest suites can be reserved for a maximum of 5 days. 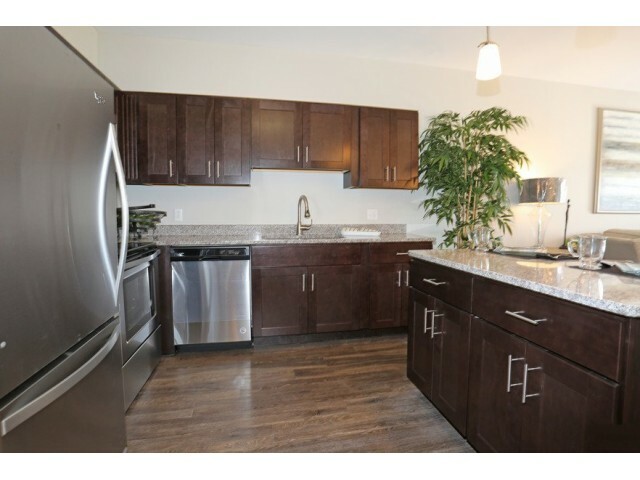 Residents will enjoy playing cards, socializing or taking part in cooking classes. 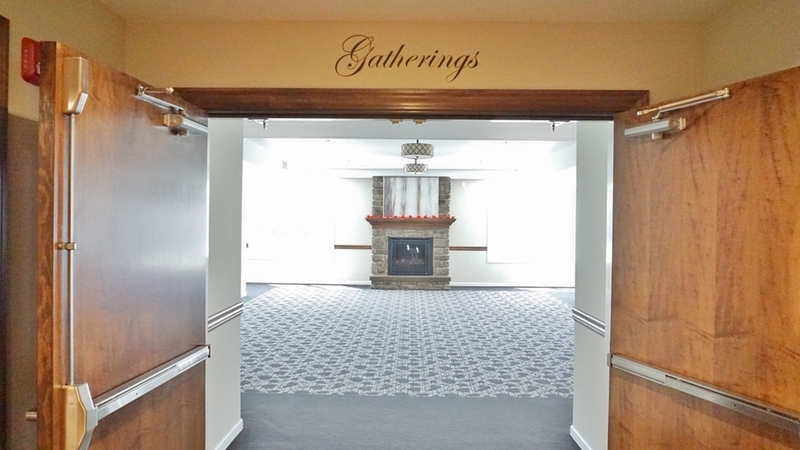 Residents can reserve the community room at Belvedere for private events. Down-sizing from a home you have filled and enjoyed over the years is never easy. Our goal is to ease our residents' transition into their new home by ensuring residents have enough room to bring their most cherished possessions with them. 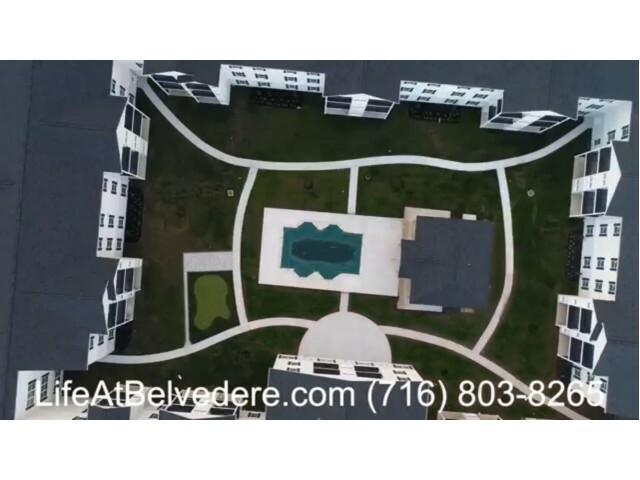 Starting at 1,050 square feet, the apartments at Belvedere are not only luxurious, they are some of the most spacious floor plans in the area. Rent prices begin at $1,204. 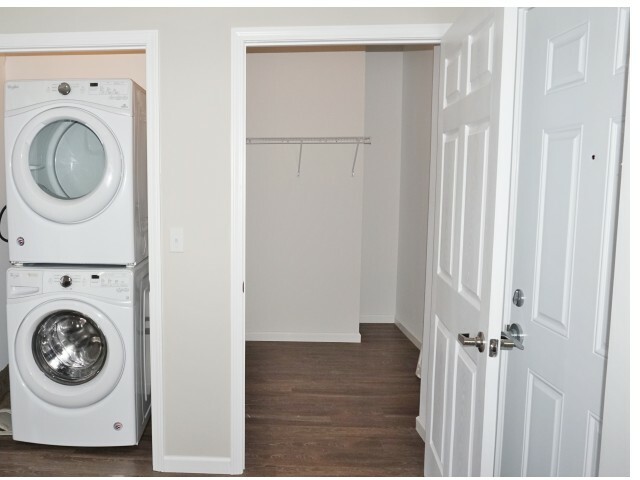 Equipped with 9-foot ceilings, ample storage space right in the apartments and open floor plans, residents will feel all the familiar comforts of home. Residents will be able to select from a variety of luxury one and two-bedroom layouts. There are options for attached garages by means of an enclosed breezeway as well as detached garages. Whether a resident chooses the peace and tranquility of the surrounding (protected) woods and meadows or wants to be near the happening courtyard area, they can do so from their own over-sized patio or balcony. Belvedere is a smoke-free community. 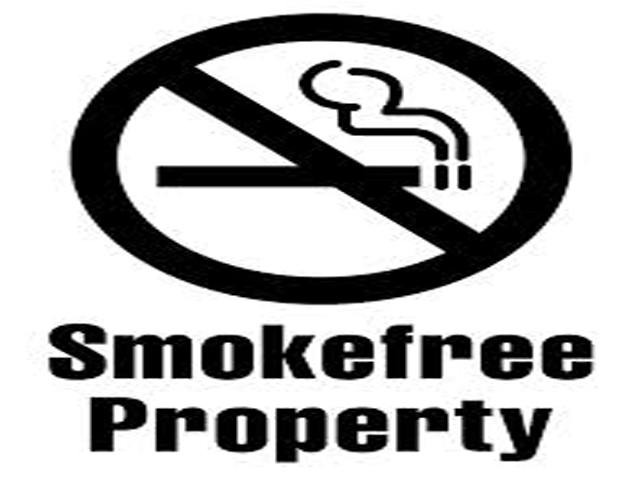 Residents and their guests are not permitted to smoke anywhere in the building or courtyard areas. You must be at least 25-feet from the building to smoke. 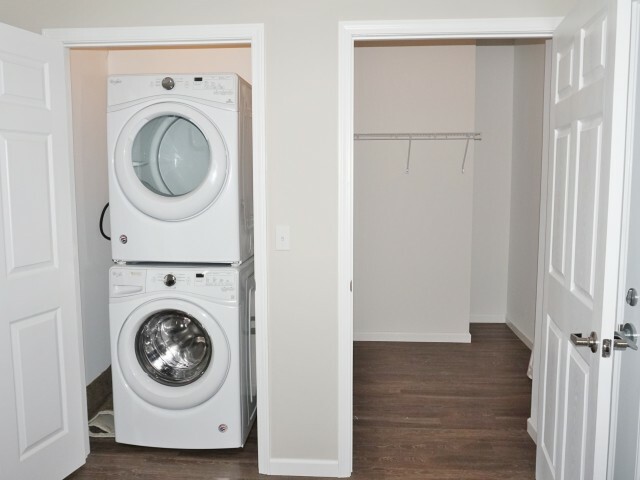 Many floor plans offer additional storage right in your apartment!